Those already on the bandwagon know that Gartner wasn’t far off when they stated: “now is the time for digital transformation”. Across the globe, business leaders are introducing digital initiatives to ensure their organisation doesn’t fall into a technology chasm. Many businesses are scrambling to move their processes online, but one aspect that is often left out of the discussion is how to successfully drive digital transformation within the supply chain. Below we discuss how Walmart's supply chain has set a new standard for service excellence and putting the customer first. Besides racking in an enormous $12.5 billion globally last year, digital growth for the American retail giant was slower than expected. Although this sluggishness in their eCommerce channel is largely due to consumer knowledge about what’s on offer, there is a light at the end of Walmart's eCommerce tunnel. After merging their tech teams in Silicon Valley, Walmart was able to speed up collaboration and reduce duplication. Below we take a look at how Walmart transformed both their supply chain and in-store experience to maintain their presence as a market leader. Walmart is known for its low consumer prices, and cutting costs wherever they could was imperative to their success as a retailer. Walmart embraced technology and innovated their supply chain so they could track inventory and seamlessly restock shelves, while also passing on savings to their customers. It really is a great case study for anyone in logistics in supply chain management, and below we look more specifically at why. Walmart is no small fish in the supply chain and logistics industry. The US retailer stocks products made in 70 different countries, operates more than 11,000 stores and manages an epic $32 billion of inventory. From home furniture to fresh food, Walmart stocks it, and many experts say its their use of technology that allows them to cast such a wide net. Without even needing to say, they have become one of the globes most powerful retailers with the highest sales per square foot. But their success didn’t happen over night. They’ve innovated their supply chain operations since 1962 and have consistently invested in the latest and greatest technology solutions to ensure they can offer their customers the lowest prices available. Companies within the supply chain of Walmart synchronise their projected sales through a collaborative, planning, forecasting and replenishment system. Every chain in the link is connected by a centralized database system, store-level point of sale system and a satellite system. Walmart was the first to implement a companywide Universal Product Code for barcodes where store level information was then collected and analysed to help improve operations. No stranger to data analytics, Walmart was then able to create their Bentonville database, Retail Link which displays real-time sales data from cash registers straight to their distribution centres. At the time of implementing these strategies, companies weren’t in the business of collaborating and sharing information with third parties. Walmart really transformed the retail industry as its cooperative approach of sharing information between stores, distributions centres and suppliers. Improving collaboration resulted in fewer links in their supply chain and helped Walmart accurately forecast and manage inventory, but this wasn’t the only way to save them time and money. Walmart is also known for reducing costs by working directly with manufacturers which cuts out opportunity for confusion and human error. But without customers, this smooth and well-run supply chain would go to utter waste. Walmart most recently has been working on implementing the latest technologies to improve the in-store customer experience. Walmart has some serious competition. With the likes of Amazon and Target all looking to dominate the consumer market, it’s fair to say that Walmart had to use all the tricks of the trade to maintain its low prices for customers. Within its brick-and-mortar locations, Walmart focused on investing in technology that would improve the customer experience. For example, staff were equipped with handheld smart devices to respond to customer enquiries on inventory more efficiently. According to Forbes, Walmart hasn’t been known for its great customer service, but it’s looking to change that. Walmart is looking to create Training Academies that will educate department managers and assistant store managers to become more customer-focused. So what’s the end-goal of this training academies? To deliver a seamless shopping experience that offers the capabilities necessary to drive growth, and it’s going through great efforts from converting the look and feel of their stores to implementing new technologies for their staff. Staying true to its history of innovation, Walmart is currently rolling out it’s new mobile app feature Walmart Pay that will eventually help to speed up transactions at the checkout, and encourage loyalty, while also encouraging a great range of customers to open a walmart.com account. Gone are the days where data sharing between retailers and supplier is frowned upon, and we Walmart to thank for a big chunk of this. The new world of data sharing and collaboration has helped organisations across the globe improve forecasting and marketing, but when Walmart first starting looking into this in the 1980s they since haven’t looked back. Walmart has some tough competition, with retailers such as Amazon touting low prices and fast delivery, they had to figure out a way of competing with an essentially seamless customer experience. Earlier this year, Walmart expanded its click and collect service to 30 new markets and it’s pickup service to 60 US markets at 400 locations. Walmart is constantly seeking out new ways of driving new revenue, and they adjust their supply chain accordingly. It’s fair to say that Walmart doesn’t take its competition lying down, and although it has a lot to learn in the eCommerce space, it’s going in the necessary direction to drive growth in this area. 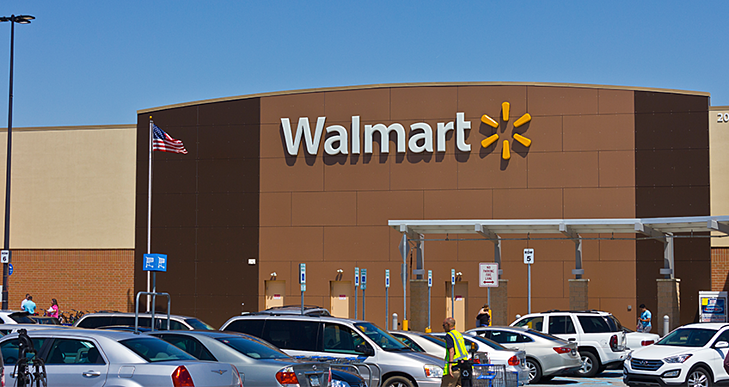 Walmart has consistently been willing to invest in technology to support its supply chain. From hand-held devices in the store, to analytics software to improve collaboration, Walmart was able to over turn a long-standing practice in the retail industry while also delivering low prices for their customers. Walmart is not bashful, and the global business industry has a lot to learn from this successful retail giant. Do you have any other supply chain success stories? Let us know in the comments below.